When will I get GST registration Certificate after online applying? Can I apply for GST registration certificate manually? I have applied for GST registration in India by online application. How long will take to get GST registration certificate? Would my application for GST registration has to be approved by both central and state GST authorities? 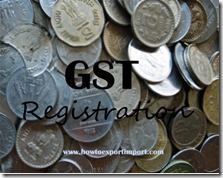 This post explains about the procedures and formalities to get GST certificate of registration after applying online. The application for registration of GST in India can be done by online only. No manual filing of GST registration is available in India. Once after applying online for GST registration, if the information and the uploaded documents are found in order, the State and the Central authorities shall approve the application and communicate the approval to the common portal within three common working days. As per Section 19(9) of GST Law, the portal will then automatically generate the Registration Certificate. In case no deficiency is communicated to the applicant by both the tax authorities within three common working days, the registration shall be deemed to have been granted. Then the portal will automatically generate the Registration Certificate. We have applied for GST certificate by online. However, the concerned GST authority found some discrepancy on application and supporting documents. What happens to such GST application? If any shortfall of documents or discrepancy in application found or if GST registration authority needs clarification on application for GST registration, query is raised on such application. If during the process of verification, one of the tax authorities raises some query or notices some error, the same shall be communicated to the applicant and to the other tax authority through the GST Common Portal within 3 common working days. The applicant will reply to the query, rectify the error, or answer the query within a period informed by the concerned tax authorities. Normally this period would be seven days. On receipt of additional document or clarification, the relevant tax authority will respond within seven common working days. 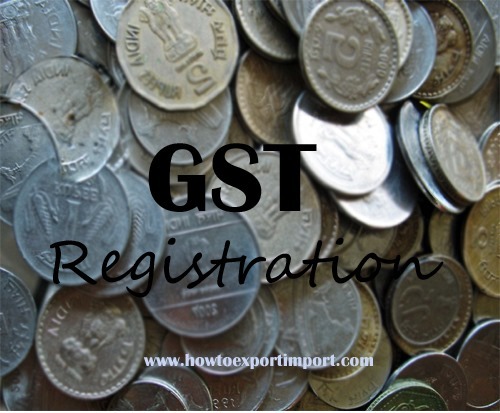 If all details for granting GST registration are in order, Certificate of Registration of GST is granted within three working days to the applicant of GST. Our application for registration for GST has been refused. What next? As per GST Law, in case registration is refused, the applicant will be informed about the reasons for such refusal through a speaking order. The applicant shall have the right to appeal against the decision of the Authority. As per sub-section (10) of section 19 of MGL, any rejection of application for registration by one authority (i.e. under the CGST Act / SGST Act) shall be deemed to be a rejection of application for registration by the other tax authority (i.e. under the SGST Act / CGST Act). I have applied for GST registration in India but rejected application. How will I know about such rejection or refusal? Will there be any communication related to the application disposal? As you know, all process of registration, tax payment and returns filing GST is by online. So an electronic system of communication is effected by concerned GST authorities on such refusal or rejection of application for GST registration. As per GST Law, the applicant shall be informed of the fact of grant or rejection of his registration application through an e-mail and SMS by the GST common portal. Jurisdictional details would be intimated to the applicant at this stage. Can I download my GST registration Certificate from web portal? Once after filing application for GST registration online, the concerned officials scrutinize such application with supporting documents uploaded by applicant. If all documents and required information on application for GST is in order, the concerned GST authorities approves such application and an automatic GST registration number is generated and allotted to such particular applicant of GST. Such GST certificate can be downloaded from GST portal through the login ID provided to such applicant of GST registration.